Numerous karst dolines have been formed along the Croatian coast and many have been submerged during the Late Glacial and Holocene sea level rise. The coastal area of Cres Island in the Northern Adriatic is a typical example of this geomorphological setting, where transitional forms from subaerial to submerged dolines are present. Once dolines are formed they can accumulate soil, water and sediments due to their morphology. Sediments are an especially valuable source of environmental data. This paper presents the results of the study of foraminiferal assemblages and sediment geochemistry, supplemented with grain-size and mineralogical data, from the marine ponds developed in the karst dolines on Cres Island. Obtained data is correlated with the sediment core record from submerged dolines in the present-day embayments along the coastal zone of Cres Island. In total, 3 sediment cores were collected in the marine ponds Marinska, Arcij and Podbrajde, while 2 longer sediment cores have been extracted from the Jaz and Sonte embayments. The Marinska, Arcij and Podbrajde marine ponds have distinct geochemical and mineralogical sediment compositions, with monospecific foraminiferal assemblages and generally differ from each other. The common characteristics are their high N and P concentrations and the algal origin of organic matter. 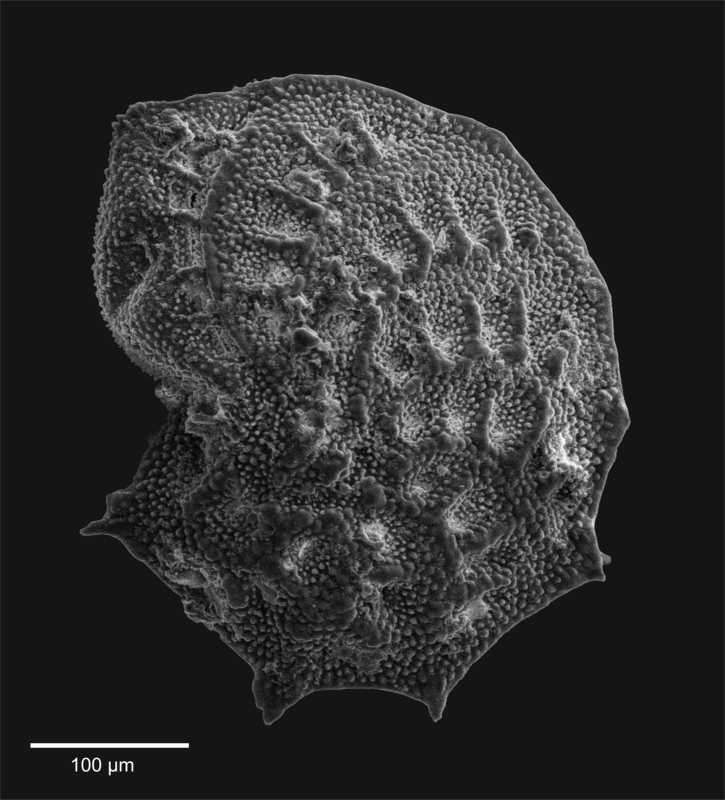 Agglutinated foraminiferal taxa (Haplophragmoides canariensis and Trochammina inflata), typical for intertidal environments, are abundant in the brackish-water Marinska pond, while stress-tolerant species Ammonia tepida has been identified in the Arcij marine pond. Environmental conditions in the Podbrajde marine pond did not facilitate the development of a rich foraminiferal fauna. Results from the present-day marine ponds enabled recognition of similar environments in the sediment cores collected in the Jaz and Sonte embayments that were progressively inundated during the Holocene sea level rise. A palaeo-marine pond existed in the Sonte embayment until 6610 cal BP, when the sea flooded the investigated area. A marine pond in the Jaz embayment was formed at 711 cal BP. Low-diversity foraminiferal assemblages in these palaeo-ponds are similar to those recognized in the present-day Arcij marine pond on Cres Island. However, differences in the geochemical composition of palaeo-marine ponds, in comparison to the present-day ponds, exist. They might be attributed to climate variability over time and variations in the geological setting of each environment. High Mo concentrations and abundant organic matter content are the main sediment characteristics of the recognized palaeo-marine ponds in the Jaz and Sonte embayments.